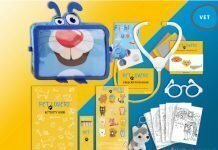 Etihad Airways has updated its hugely popular ‘Etihad Explorers’ children’s activity packs which have kept its younger guests occupied while inflight for the past two years. 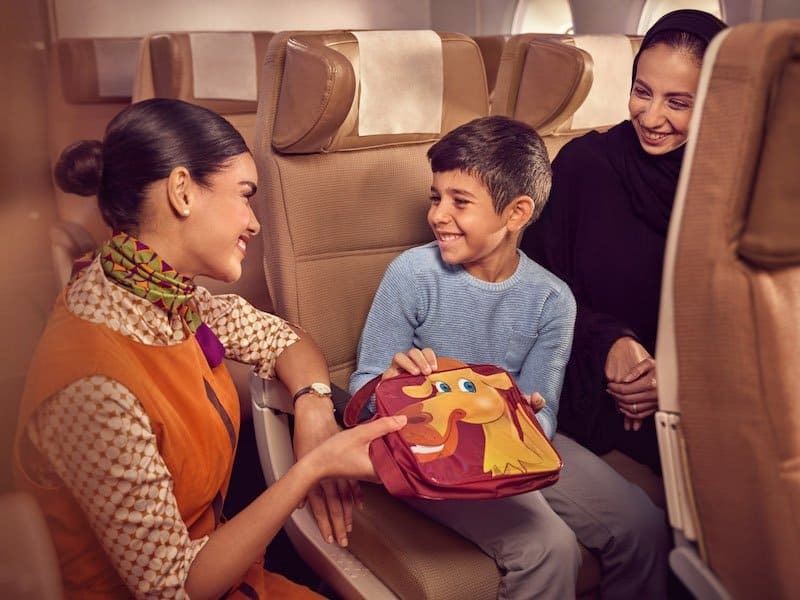 First launched in September 2016, Etihad Explorers is the airline’s children’s brand, featured on activity packs and meal items. It aims to instil a sense of excitement and anticipation during their journey. Milk Jnr’s & Kidworks, the Manchester headquartered agency which specialises in creating engaging kids activity packs for some of the world’s biggest family brands, has revamped the children’s packs in various ways including changing the lead characters in the packs for three to eight year old passengers. Jamool the Camel and Boo the Panda take over from Kundai the Lion and Zoe the Bee. 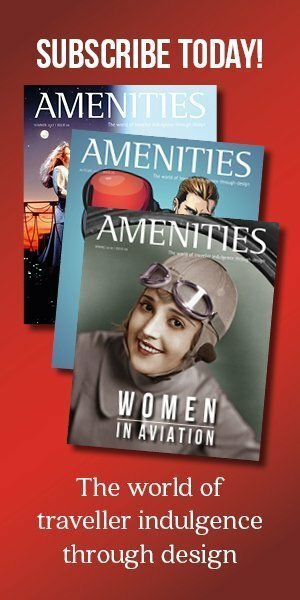 The aim is to create a new collectable that young children will engage and interact with – both onboard and post-flight. Inbound and outbound versions are still in use and vary in content. On inbound flights to Abu Dhabi, the collectable character bag contains an activity booklet, crayons, card games and a colour-in mask. 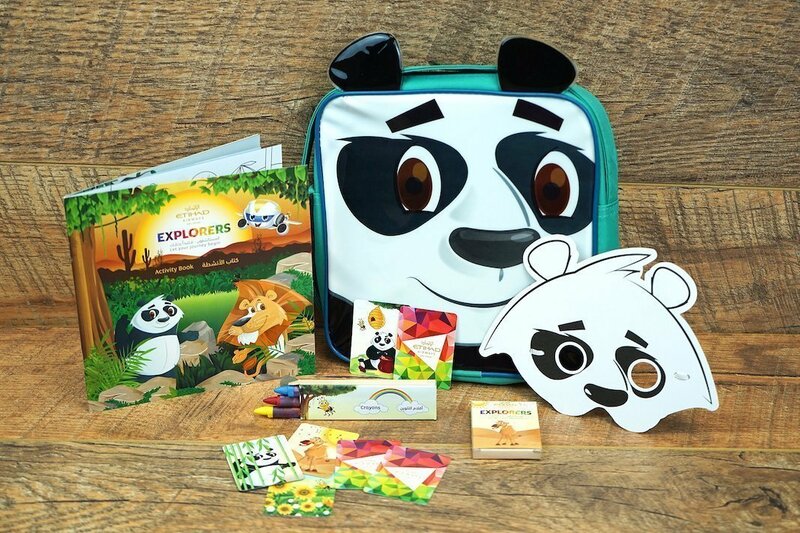 The pack on flights from Abu Dhabi includes a unique suitcase board game which allows parents and children to play together, a foam version of Boo the Panda, colour-in postcards, crayons, and a handy waterproof travel wallet. Having a different pack on each leg ensures that children are kept entertained on both journeys. 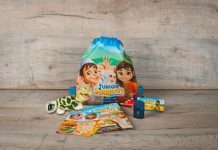 For nine to 13 year-olds, the more mature activity pack has had design refresh based around an exotic seascape theme. Content includes Sudoku, mazes, lined notes and join-the-dot games. These packs also contain a pencil case, pencil, a dual-function bookmark and ruler, and a notepad. Next articleTime to Ditch the Razor!